Note: Acadia Connor, Lexington HS 2017, has been an articulate dyslexia advocate throughout her high school years. 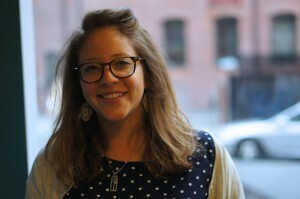 She is currently a marketing communications intern at ResearchILD and plans to attend Skidmore College in the fall. Here she speaks passionately about her experience with dyslexia and her recent appearance at the MA State House on the topic of dyslexia advocacy and the need for Massachusetts funding support for programs that address the dyslexia challenge. My journey with dyslexia started in elementary school. Many teachers knew I had difficulty reading, but with my expansive vocabulary I went undiagnosed for years. In middle school, I was called stupid and laughed at by my peers for not reading aloud correctly by my peers. For example, I might read the word ‘car’ and then say ‘automobile’. In 6th grade, my English teacher luckily recognized my dyslexia and spoke to my parents. I met with a neuropsychologist, who concluded I had moderate dyslexia-two of the three types. I was stunned. I thought that dyslexics were unintelligent, and saw everything backwards, both attributes with which I did not identify. I felt mislabeled, but actively learned about dyslexia. I do not read backwards. I might be thinking “b” and then write “d” but I don’t see “b” and “d” as each other. My brain manipulates information differently and that is what makes the letters seem backwards. I was told by many to “work harder,” and I do. Sometimes I go home and watch videos, such as Crash Course US History, to support in-class lessons. I just need the information presented in a different way. The school provided me with an Independent Education Program which levels the academic playing field. For example, the school gives me extra time because my brain takes longer to process questions. Open responses are always the hardest for me.Taking languages as a dyslexic is horrible! I had a hard enough time understanding English without learning how to conjugate irregular verbs in French. Despite stress, many tears, and hours of tutoring I find myself in high school doing well academically. I am taking two honors courses – something I never thought I would or could do. I am working to reduce my accommodations because in the work force I will not be given extra time to write a report for my boss. I have began to take less time on tests and take more quizzes in the classroom. Having dyslexia has connected me to a larger community. For two summers during middle school, I attended The Carroll School, a school with a special dyslexia summer program. I was with other teens who were exactly like me and had the same struggles. Given that 1 in 5 people have dyslexia, I am constantly finding new members of this community rather than in a separate room. I am inspired by how successful dyslexics are. Richard Branson, the CEO of the Virgin brands, is dyslexic and owns his own island! 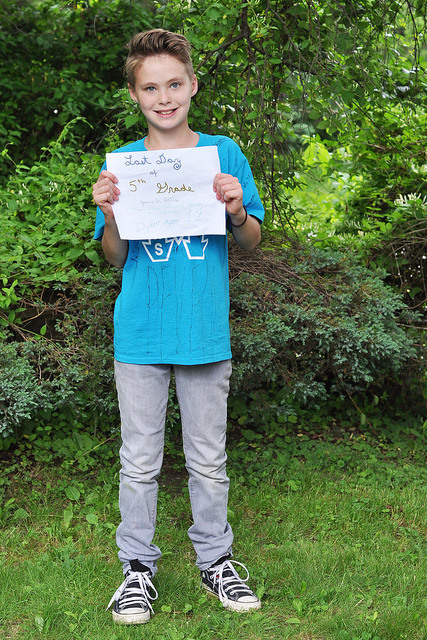 Branson has a positive outlook on dyslexia and how it helps you see things most people do not. He is the reason I am proud to be a dyslexic. As the years go on, I have developed a love for being dyslexic. Dyslexics are special in how they see the world and can come up with ideas “normal” people don’t. Dyslexia is a constant journey. I will always struggle with writing coherently in one draft, and I will have to check my b’s from my d’s. But I know that I have gone through a lot of adversity and that has only made me more prepared for the world. Do not underestimate dyslexics because that kid you laughed at in class could be your boss someday. What’s on your child’s “worry list”? This time of year can be particularly anxiety-inducing for children of all ages, with the thoughts of upcoming changes and less structure for the summer. Some anxious kids may already be worrying about next fall. Maybe the worry is about final exams and projects, new schools or new classrooms next year, summer reading lists, summer camp and that swimming test. For some, the need for summer school or tutoring may be stressful. If you can find out what your children are worried about (it may not be what you think!) then you can prioritize where they need the most help, and begin to address some of their concerns. Many children with learning difficulties also struggle with anxiety. While most learning challenges are identified in elementary school, an unidentified issue may create a very stressful day-to-day existence for a student. Even children who have been receiving support may suffer additional worries if those supports are not helping them quickly enough. But, remember the last step #10: Don’t give up! The article notes that “Shut-down learners are children who become academically discouraged and disconnected from school over time”. The early warning signs range from academic issues, such as “dislike of reading” or “hatred of writing” to more behavioral and emotional manifestations such as “increasing anger toward school” or “a sense that the child is increasingly disconnected, discouraged, and unmotivated”. At ILD, here’s what you might expect at an initial consultation: You will meet with a psychologist, educational specialist, or language specialist to review their child’s educational background and developmental history, and to find out the main concerns. This consultation is the first step to understanding their child’s unique situation and is the beginning of a relationship with the whole family. You’ll be asked to complete a questionnaire to bring to the meeting, along with other relevant information, such as report cards and samples of student work. Your concerns will be heard, specific questions will be addressed, and suggestions will be made for next steps. Outside support, in collaboration with your child’s team at school, can also help you through the process of understanding your child’s needs and targeted strategies to help your child succeed. A full service provider includes psychologists, as well as reading & math specialists, speech-language therapists, learning disability specialists, and executive function coaches. Help for parents to avoid the back-to-school slump after winter vacation! 2. Talk about work space and study habits. 3. Check in on long-term projects. 4. Make reading a part of your daily life. 7. Give in to the season. As you read Jessica’s tips, keep in mind some of the key executive function skills needed to succeed at school and in life such as Goal setting, Thinking flexibly, Organizing, Memorizing, Self-correcting. Each of these helpful tips reminds us of the importance of executive function skills in school and at home. For each of Jessica’s tips, there is an executive function connection. Executive function processes are a part of every goal-oriented behavior in school and out of school! · Following rules requires working memory and self-monitoring. · Cleaning up a work space requires children to break down big tasks into smaller ones, and organizing materials or time. · Studying and completing long-term projects involves planning and time management. · Reading is a complex process which includes decoding, as well as remembering, organizing and synthesizing. · Setting reasonable goals requires self-reflection, thinking into the future, planning how to achieve those goals in small steps, and self-monitoring. · Lastly, the need to get outside and give in to the season is so important for all kids, but especially those who struggle with attention, learning and executive function difficulties. Physical movement and time spent with activities they enjoy are crucial. Children with learning differences work harder than others to self-regulate and cope with changing schedules throughout the year! Last year, we were lucky enough to have Dr. Tom Brown, PhD join us at ResearchILD’s Learning Differences Conference. 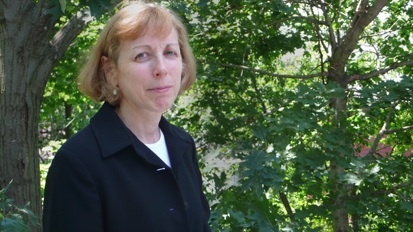 Dr. Brown is a clinical psychologist, an assistant clinical professor at Yale University School of Medicine and the director of the Yale Clinic for Attention and Related Disorders. His words have stuck in my head since then. I related to Dr. Brown’s points in his talk on the role of Motivation and Emotions in Executive Function. He reminded me that EF difficulties are “situationally specific”. Individuals can have great executive functioning in some settings but perhaps not in others. This shows how important it is to look at the conditions under which one is working. Our students here at ILD are courageous in the way they confront their learning differences and develop strategies so they can reach their potential. But, the relationships they cultivate are also a crucial part of the process; we are here to help them build self-esteem and realize their goals. Often, they succeed within the therapeutic environment of our office. His talk reminded me that we must continue to ensure that the strategies they learn here are flexible, so that their successes can extend beyond the walls of ILD. One piece of that extension, about which I’m quite proud and upon which we’ve worked very hard for the last few years, is the creation of our SMARTS curriculum. SMARTS allows students everywhere access to many of the strategies we teach right here at ILD. It is the natural extension of our many years of clinical work and expertise. We hope that with its launch last year, and our continued workshops with teachers and educators throughout the country, we will be encouraging the creation of strategic classrooms that allow for and encourage those flexible approaches to learning. This is one small way for us to cultivate safe, therapeutic environments that extend beyond our walls. ILD Student Named Read Naturally’s Star! Two years ago, I evaluated Katie and determined that her reading skills were below grade level. As a result, she qualified for an IEP and began receiving reading support twice a week in school. I also tutored Katie once a week outside of school at our Institute. 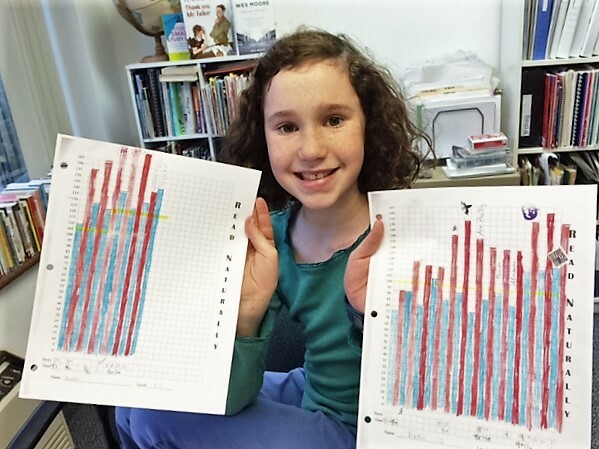 I chose to use Read Naturally because Katie needed reading fluency practice, which she wasn’t getting in school, and I knew she would be motivated by charting her progress. She has continued to amaze me with her progress over a relativel y short period of time. She started with Level 0.8 and is now on Level 3.5! 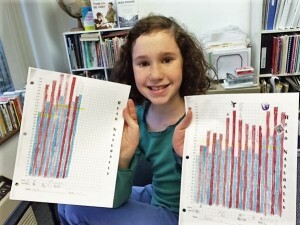 Not only has the program helped improved her reading skills, she is also writing 5-sentence summaries with ease. Now, she also no longer qualifies for an IEP! I am really proud of Katie’s drive to improve and willingness to stretch herself with more difficult passages. She is quite a super star! We are thrilled for both Wendy and Katie that all their hard work during Ed Therapy sessions at ILD was so fruitful. We are continually inspired by the immense progress that both hard work and the therapeutic relationship here at ILD can produce. Check out the original Read Naturally post here! How can I support my child through a failed test? While there is no way to take away the sting of watching your child suffer from poor grades and dashed hopes, there are ways you can help you child cope with failure in a constructive and resilient way. This list provides tips on how to respond that will be productive and help your children develop resilience, rather than fear. 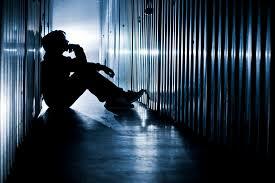 Acknowledge negative emotions–It does not feel good to fail at something. Acknowledge that negative emotion in whatever form it takes (sorrow, anger, hopelessness). Maybe relate a time when you failed at something and how that made you feel. Try to understand what went wrong— Do a simple analysis. What did the student do well? Where did the student miss points? You can create a checklist and tally up repeated errors. This is much easier if your child has to do test corrections, hopefully for credit, but it is worthwhile regardless. At ILD we call this strategy the Top-3-Hits. We make a list of the 3 most common errors a student makes. We then ask students to memorize this list using an acronym or a crazy phrase (e.g. 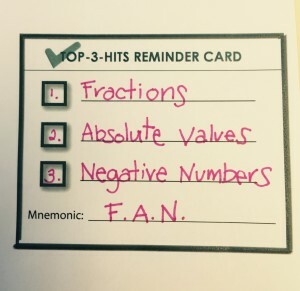 if a student makes errors on fractions, absolute values and negative numbers, they could use the acronym F.A.N. or a crazy phrase like Fabulous, Awesome Neptune. (For more on the Top-3-Hits, check out Chapter 11 of Executive Function in Education or check out SMARTS Online, an Executive Function curriculum developed by ResearchILD). Help your child understand how to use that knowledge to make changes for the future— Now that you’ve had a chance to look for common errors, it’s time to come up with a plan for how to address them proactively. What can your child do differently on the next test? On a math test, they might need to spend an extra minute double checking to ensure that when they multiplied two negatives they ended with a positive. On a science test, they might need to be extra careful when they see a problem with a diagram. If they can identify the challenging areas beforehand, they have a much better chance of succeeding next time. 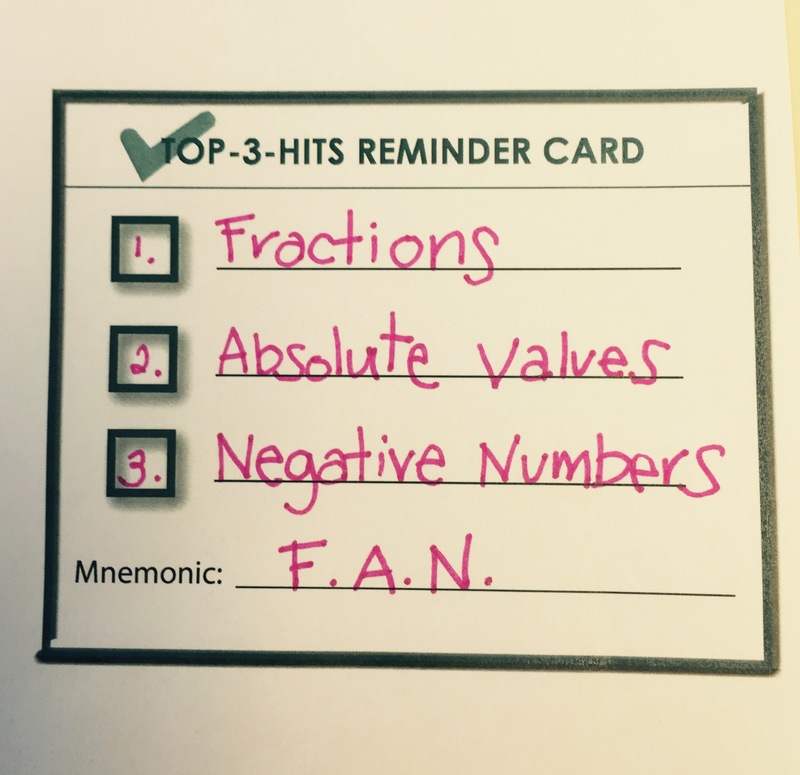 At ILD, we encourage them to take the mnemonic they created to help them remember their Top-3-Hits and to write it on the top of every test before they begin. This will help them stay aware of their common errors throughout the course of the test. No one enjoys failing, and we need to acknowledge that, but failure is not fatal. It is a call to be courageous and to learn more about ourselves. Help your child face this challenge, and they will learn a lesson that will not only assist them on their next test, but in all the tests that life sends their way. For years, we’ve known that listening to audiobooks can be a great alternate learning method for students who struggle with reading, whether they have been diagnosed with dyslexia or not. Recently, The Atlantic posted an article by writer and English teacher Michael Godsey on The Value of Using Podcasts in Class that explores this topic more fully. Godsey looks at how using audiobooks or podcasts in the classroom can help inspire a love of literature in students who, because of their reading level, often find reading to be an arduous and stressful task. Research has shown that many students actually learn most effectively when listening to an audiobook or podcast while reading along with a transcript. 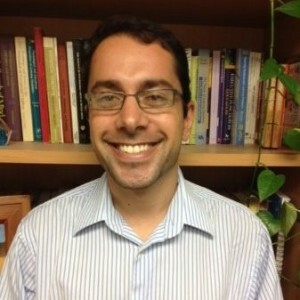 Furthermore, Godsey noted that his students found podcasts more engaging than books because podcasts usually have a variety of speakers who speak directly to the listener, making the material seem more immediate. I asked each of my own students to write down what they’d honestly like to do for the rest of the semester: read a good book together, listen to another podcast, or listen to a podcast with the words on the screen. Sixty-two voted for the latter, while just two voted for podcasts alone, and one for reading alone. Listening while reading helps students experience several successful and engaging reading events in a row, which increases confidence and makes reading a positive experience that students want to repeat. Have any of you had experience using podcasts or audiobooks in your classrooms or at home? What works and what doesn’t? Let us know in the comments! The following blog post was written by Elana Snow Ed.M. for the SMARTS Online blog and posted (in a slightly varied form) on March 1, 2016. Mark, a student facing a very common problem, comes home to his parents brandishing a red “C” on the top of his test, feeling devastated, frustrated, and hopeless. He tells his parents that he always studies really hard. Yet, again and again, he has little to show for it. Each time he thinks he’ll do well, but when he struggles to get the A or the B, he is shocked. Mark is like many of the students we see at ILD and ResearchILD. When asking these students what ‘studying hard’ means to them, they may answer: “Well, I went through the review packet my teacher gave me. It took me a really long time.” But what these students do not understand, because it is rarely taught in school, is that simply filling out a packet or reviewing class notes is just the first step. By itself, a review of the material on the test is not an explicit study strategy. Plan: If it’s a big test, waiting until the night before is not a good strategy. How can teachers/parents help their students to look ahead and create a reasonable study plan that breaks up the studying across multiple days? Create a Study Tool: Students can create a tool with various images or memory strategies, like the Triple-Note-Tote, to help them with information recall. already know. How can teachers/parents help their students determine which information is the most important to focus on? Create a study tool: Creating their OWN study guide with priority information and remembering strategies will enable students to truly recall the information they study. What are some proven study tools that can aid in this step of the process? Quiz themselves: This is a tried and true part of the process. What are some ways students can effectively quiz themselves? Analyze previous errors in order to prevent similar mistakes in the future: Looking for patterns of errors in previous tests can help students avoid those same errors again. What are some strategies for analyzing and recording errors so that students can effectively remember and avoid them? Looking to find answers to these questions? Join us for the presentation! ResearchILD’s Learning Differences Conference is held yearly at the Harvard Graduate School of Education and it is a fantastic way for teachers, administrators and parents to learn both about the science behind and concrete approaches to helping children with learning differences. If you’re interested in attending or learning more, check out our conference website! *Mark’s name has been changed. But if you have a child or a student, like Mark, who feels endlessly frustrated with fruitless studying strategies, consider coming to our session! Behavioral Challenges Causing Conflict and Frustration at Home? Think:Kids, says Dr. Elizabeth Pierce, Ph.D.
ILD’s status in the Learning Differences community means many opportunities for partnership and collaboration. Connecting with other passionate practitioners and educators who are trying unique, innovative approaches to help students who are struggling to find success makes us better at what we do. While the kids we usually work with have difficulty succeeding in school because of executive function, attention and learning difficulties, many kids struggle because of emotional or behavioral challenges. In collaborating with practitioners who specialize in these arenas we are often heartened and humbled by the overlap in approach. Unsurprisingly, the most successful approaches put the child at the center, a notion which has been our goal for over 30 years. Since becoming a Certified Trainer, Dr. Pierce has organized groups for parents hoping to learn this method. She utilizes the Think:Kids 8-session curriculum. This curriculum is unique in helping parents to understand the lagging cognitive skills behind their children’s challenging behavior, and in giving parents a practical, structured, 3-step approach to solve very specific problems in the home. It is also distinctive in its respect for both child and parent concerns, allowing parents to effectively communicate their values and point of view to their children. 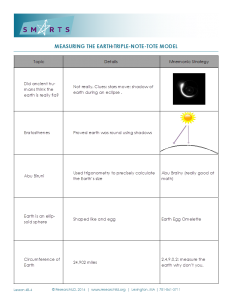 It avoids the pitfalls and negative side effects that can sometimes occur with standard behavior modification approaches (behavior charts, time out etc.) The group is rich with information, including a slide presentation each week, videos demonstrating the approach, and handouts. There are opportunities for role-plays, review of homework assignments to facilitate learning, and discussion amongst group members. According to Dr. Pierce, parents who have gone through the group report that they felt accepted and comfortable, free to raise their struggles with parenting without feeling judged. They also expressed that their learning of CPS challenged, in a positive way, their usual ways of thinking about discipline and about how to help their kids. They experienced improved interactions with their kids, and saw positive changes in their children over time. They unanimously appreciated the exchange with other parents, including hearing the ups and downs of trying the steps of CPS. Dr. Pierce will be running a CPS/Think:Kids Parent Group at our ILD offices for 8 Thursdays in a row starting April 28th, 2016 at 7 pm. If your family is struggling because of your child’s behavioral challenges and you are looking for a child-centered solution, we believe you really cannot do better than this. For more information or to register, click here.